We ARRRRRRR ready for school! To launch our topic for the term “Arrr Pirates!” Cap’n Jim and Rascal’s Revenge have been in school today. Cap’n Jim told the classes historical tales about Pirates and where our ideas of what pirates are come from. They heard stories about Queen Elizabeth I and King Phillip of Spain and how much they hated each other and that Queen Elizabeth’s men stole from Spanish boats. 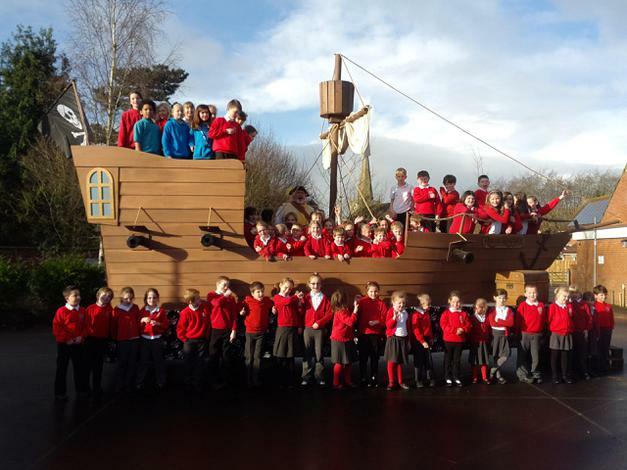 They looked at the features of a pirate ship using the Rascal’s Revenge to get ideas and learnt how the Mary Rose sank as water flooded in through the open cannon flaps. They learnt about King Charles II who had the long wigs, big collars and boots that is the style that we think of when we picture pirates. That only Captains would wear such fancy clothes, to show how successful they were. 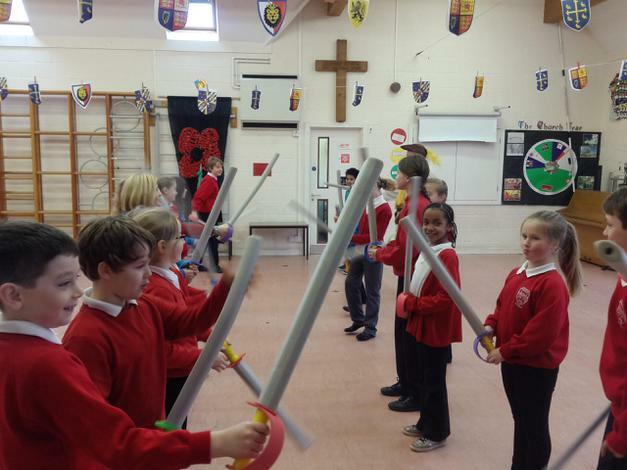 The children all learnt sword fighting moves and how long pirates would have had to practice each day to be the best swordsmen they could be. They learnt that Captains had longer swords that the crew because crew men’s swords would get caught up in the rigging if they had long ones like the captains. They learnt about Blackbeard – who was only captain for 2 years but we all remember him. His motto not to kill people if you don’t have to, he used smoke and intimidation to scare people into giving up their cargo. We are all really looking forward to an exciting term learning about Pirates. – Abi and Emily.